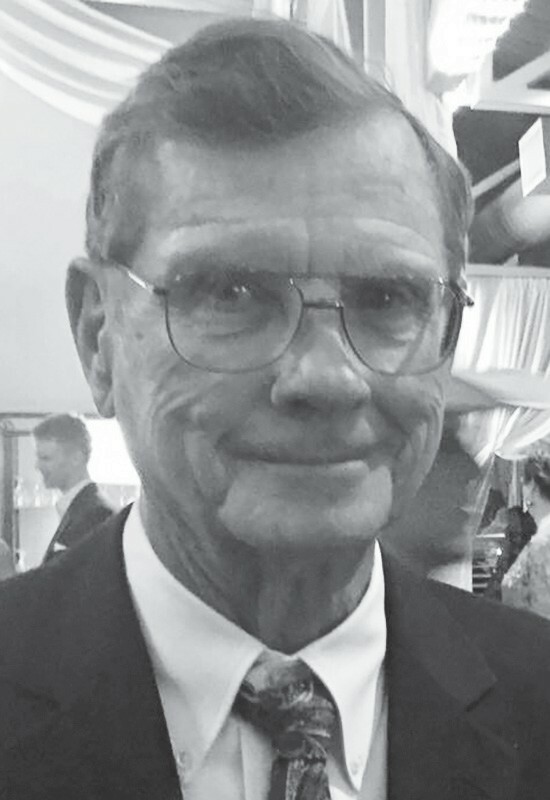 Marvin John Robert Baring of Jourdanton, passed away Friday evening, January 11, 2019 at the age of 80. He was born in Dobrowolski to Mildred Woelke Baring and Louis Baring on October 27, 1938. Marvin graduated from Charlotte High School in 1956. He was a talented man that could build anything out of wood or metal including furniture, children’s toys, houses, and as most farmers do, repair any and all of his own equipment on the farm. He married Georgann Baring in 1961 and they were together for 58 years. Georgann referred to him as her “Gentle Giant” because of his quiet, calm, patient and loving demeanor. He never got angry or argued, he simply remained calm and talked you into realizing the error of your ways when most others would have yelled and shouted. He was truly the kindest person you could ever meet and loved by many. There was never an angry bone in his body. Throughout his early life he served in the US Army, built houses with his dad, Louis and brother, Richard Baring. He also drove milk trucks for his uncle Jerry Vrana. His real passion, in terms of working, was farming and ranching, which he did for nearly 50 years. He farmed wheat and milo on a yearly basis covering 600- 700 acres as well as running 100-300 head of cattle on any given year. He also custom combined for many farmers around the Charlotte area and typically cut over 3000 acres of wheat and milo a year. He found peace in driving a tractor, farming his crops and earning an honest living. Marvin was a life-long member of St. John’s Lutheran Church. Together with his brother, they built the existing church building. He built many items for the church itself including oak shelving and furniture. He maintained the church’s yard and church cemetery for the past 15 years. He loved the Christmas holiday season, vacations and family visits, especially over the last 17 years. It meant spending time with his family and his granddaughter Bailee, his pride and joy. She and Grampy would drink their favorite drink together, a Big Red and spend lots of time watching favorite shows. Rarely a day went by that Marvin didn’t enjoy a Big Red. Marvin is survived by his loving wife, Georgann; his son, Michael; his daughter, Martha Ann Patton and husband Brad; granddaughter, Bailee Patton; brother, Richard Baring; sister, Sammie McConkey and husband Larry; sister, Shirley Funderburgh and husband Kenneth; as well as seven nephews and nieces; 12 great nephews and nieces and one great great nephew. He was preceded in death by his parents and niece, Leslie McConkey. His family truly loved him and the world is a much better place for having had Marvin even if only for 80 years, 1 month, and 17 days. Memorials can be made to St. John Lutheran’s Cemetery Assn. or Saint Jude Children’s Research Hospital. Marvin’s favorite quote MATT. 7:1 “Judge not lest ye be judged”. He lived his life by this quote. Visitation was held Tuesday, January 15 at Hurley Funeral Home, 118 W. Oaklawn Road in Pleasanton from 5 to 7 p.m. Funeral services will be held Wednesday, January 16 in the chapel of Hurley Funeral Home in Pleasanton at 10 a.m. Interment will follow in St. John Lutheran Cemetery, Willow Street in Jourdanton. Serving as pallbearers for Marvin’s service are: Rick Baring, Stephen Feldman, Kyle Funderburgh, Klayton Funderburgh, Nathan Calvert and Vincent Keane.